Tomato is always present in the fridge and used extensively in cooking. Aside from adding the tang to food, tomato can be used in a variety of ways on the skin from curing sunburns, to removing blemishes, to reducing large pores and also to control acne. Not just this, tomato also helps brighten dull skin. What’s more, it is a staple in every kitchen, so this is one fruit (yes, tomato is a fruit) that you can always turn to anytime in order to make a face pack for yourself to get glowing skin! 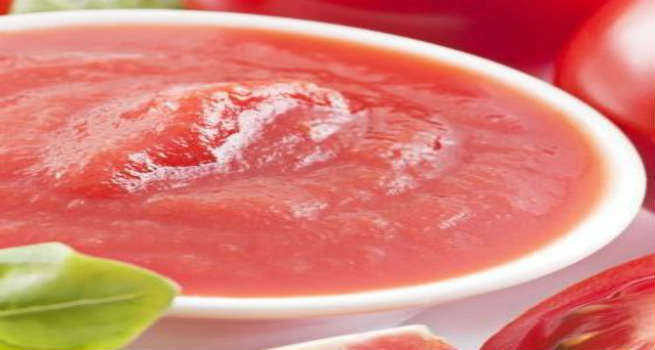 If you have just come back from a trip out in the sun and are suffering from sunburn, then make a paste of half a tomato with three tsp of yogurt. Apply this pack all over the affected areas and leave it for half an hour. The tomatoes have anti-inflammatory properties that will soothe the sunburn and it neutralizes the skin while the yogurt will replenish the moisture balance of the skin. Tomato has astringent properties and it will help clear your pores and also control the shine on the face. Cucumber also helps achieve exactly that. 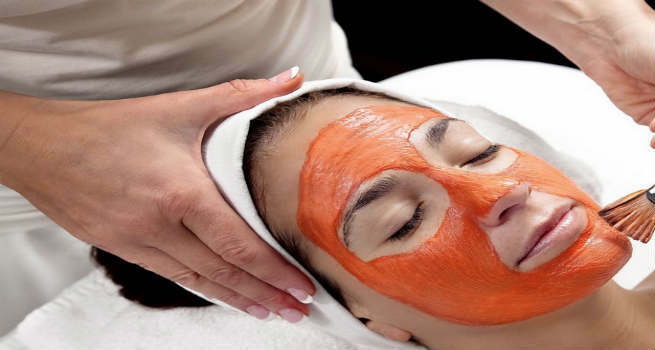 It gently cleanses the pores and removes the excess oil from the face. Make a paste of half a tomato with half a cucumber in the mixer and apply this pack all over the face in gentle circular motions. It will initially have a tingling effect on the skin after which it will cool the skin. Leave it on until it dries and wash off for bright shine-free skin. 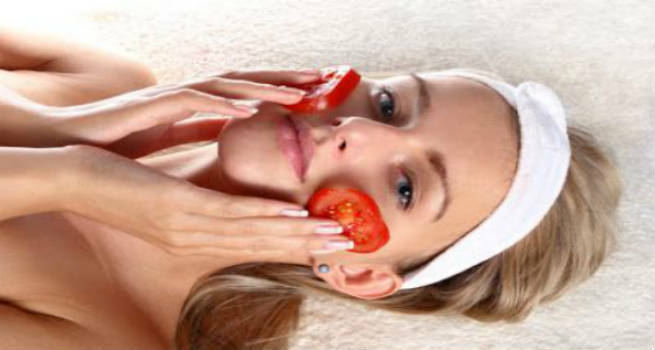 The acidic nature of tomatoes make it ideal for use as an anti-acne face pack. Lemon also has similar properties so we combine them to make an acne-fighting face pack. 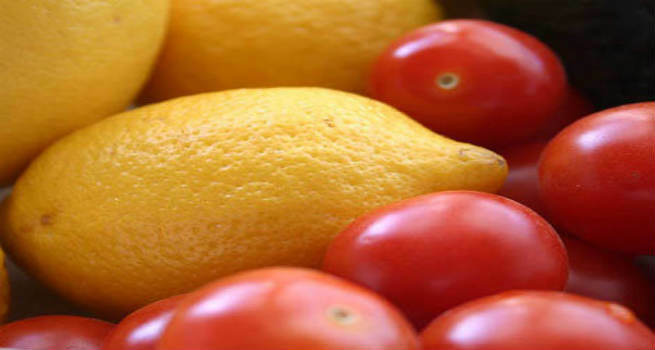 Mix together half a mashed tomato with juice from half a lemon. Apply this on acne affected areas, or better still, all over the face. Leave it on for a good half hour and wash it off with warm water. Repeat this every week for acne relief. Tomato helps in skin whitening by lightening pigmentation and treating blemishes. Since it also works on sunburn, the overall effect is that of making the skin appear fairer. For this, mix together a tsp of sandalwood powder with some tomato pulp and a few drops of lemon juice. Sandalwood also is used as a skin lightening agent, as is lemon. All the three ingredients come together in this face pack. Leave the pack on the face until it dries out and wash it off well with water for fairer skin. If you are rushed and do not have the time for a face pack, but are intrigued by the good stuff tomatoes do to your skin, then this remedy is just for you. All you need to do is to cut out a slice of tomato and rub it all over the face in the morning, soon after you wash your face. Leave it on to dry as you go about your morning activities. Once it dries, wash it off again. Make this a part of your daily ritual to get clearer and smaller pores and blemish free skin.